Snowman seems a somewhat banal bandname at first look, it is not if like these guys you are coming from Perth, Australia where snow is as rare as blue sky above Brussels, not that there is a band called Blue Sky around here, not that I know of. "Absence" is the band third album and an ironic title if there is one, Snowman disbanded soon after completing the album and it's a spooking shame. Indeed this seminal band as evolved from a cacophonous post-psychobilly guitar band with colossal drums and hellish screaming vocals on their first and eponymous album (2006) to a most sophisticated brand of Industrial music meets Liars meets The Bad Seeds with more texture, sound layers and some melodies on their sophomore 2008 album "The Horse, The Rat and The Swan". This one is an excellent piece of a record but it still remains a transitional effort to what "Absence" will become. The tribal element has never disappeared from their music but what was only apparent in their previous album became the norm on "Absence" : the high-pitched ethereal, even unearthly, falsetto vocals instead of the past angry and visceral Nick Cavean yells, the multi-layered soundscapes which are closer to dark ambient than whatever rock idiom, the huge improvement being the sound. 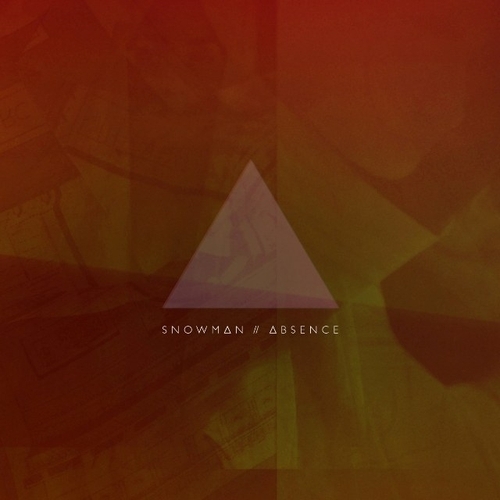 While in both their previous albums the instruments, most notably the drums, seems somewhere too remote from each other, like there were gaps in the landscapes, "Absence" is completely organic and homogeneous, so far that the whole album can be listen to just like the best dark ambient albums, the vocals really bleed into each other and wrap around all the instruments and vice versa, the words are less important than the sound they are producing, the lyrics come and goes out of our attention like in a dream (the words "half awake/half asleep" can be heard on "A Vanishing Act", for example), barely a nightmare, the whole effect is closer to a beacon of light from a supernova than an abyss of sheer darkness. This is intensive music which doesn't ask for intensive listening, you just let yourself transported into space, through a wormhole and reach a completely unknown, unseen, unheard universe. It is lush and menacing, life after death experience and the journey it conveys. And the thing is, you want to come back to it, over and over. These guys succeeded to make anti-gravitational music with its feet planted into the very ground, underground even, on a chthonian planet. The second verse of the epic and extremely enjoyable "White Wall" describes "waves of weightlessness" and it's exactly what Snowman managed to put into sonic form throughout this album. There is something transcendent to this music, like some monk chants for the electro-industrial era : hightech shamanism. Each song is at the same time repetitive and ever changing, the guitars and the multi-layered synths are doing slight variations of the themes, and it seems like the huge tribal drums are the element of that near imperceptible transformation in order to build a very hypnotic musical journey. This is without the shadow of a doubt one of the best albums of the year and it is even more a pity Snowman won't produce anything else anymore.